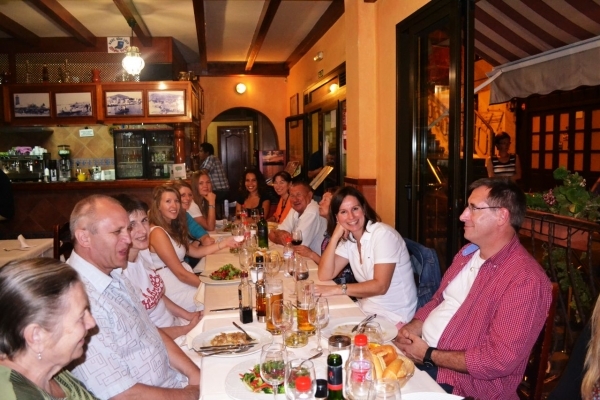 In Costa Adeje there’s always something to do! The south of Tenerife is popular with visitors because of the wide variety of activities, beautiful beaches, and perfect weather. Our leisure programme takes advantage of all of that, and you can join in! REGULAR ACTIVITIES INCLUDE SALSA, BEACH VOLLEYBALL, AND MORE! SOMETHING TO DO EVERY DAY OF THE WEEK, AND EVERYONE'S INVITED! DON'T SEE YOUR FAVOURITE ACTIVITY? ASK US FOR MORE! We have breakfast together on the terrace. This is a good opportunity to get to know your new classmates and to enjoy the sun. 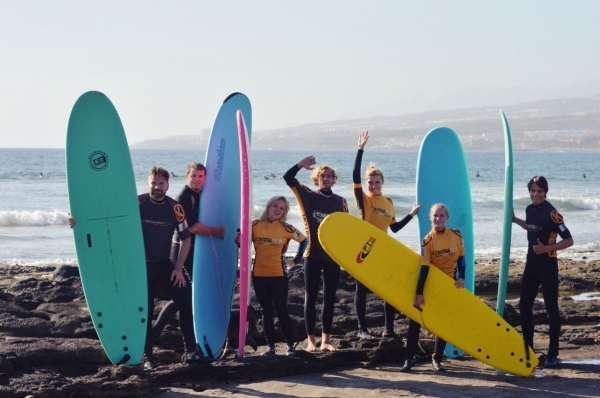 With our surf-school partner “KontraOla” in Playa de Las Américas you can learn to catch the waves like a professional surfer. If the surf’s not up we’ll go paddle surfing to perfect that arm action. So be prepared to get wet – exclusively for our students, the trial lesson costs only €10! You got rhythm but want to improve your technique? You ain’t got rhythm but want to learn? You just want to have some fun while living the Latin culture? Come to our salsa classes with Lorenzo! 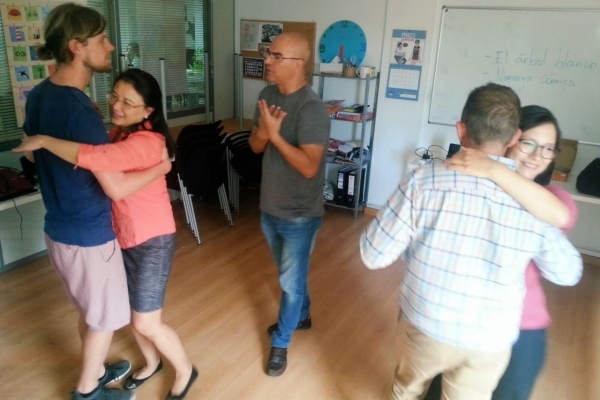 He will show you the basic steps, teach you how to move to the music and guide you through the exciting world of salsa. Classes are held at the language school. 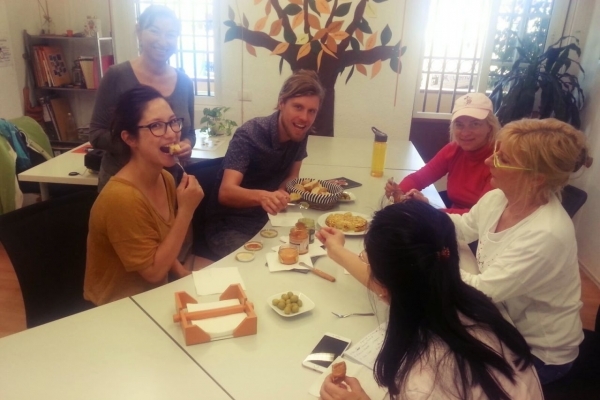 Every Thursday we meet to talk about different aspects of Spanish culture. Grab a coffee and have a chat with us! 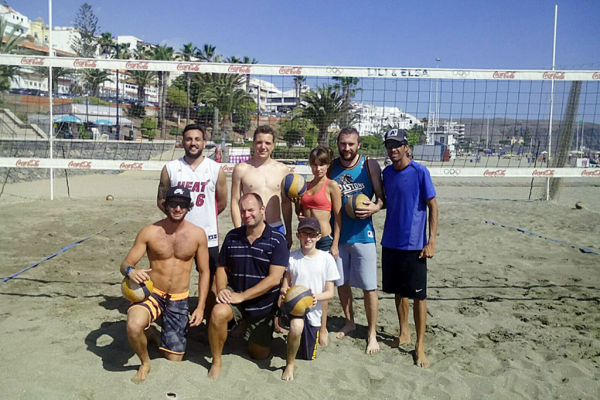 If you are sporty and love the beach you should try out our weekly volleyball matches. Join your fellow students and locals players for fast and furious volleyball games on the beach. With the sparkling Atlantic ocean just a few metres away and with the backdrop of a glorious sunset, life doesn’t get better than this! 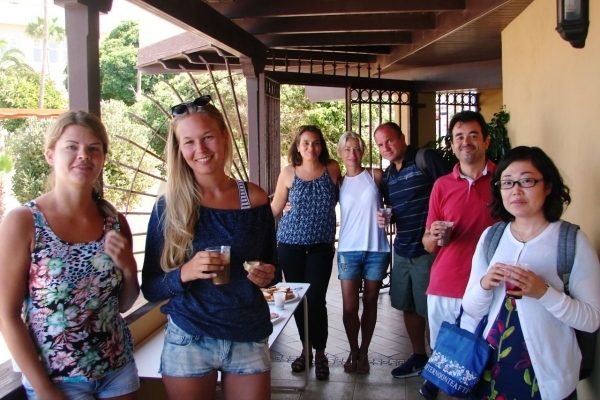 Meeting points and times depend on trip We have weekly excursions to different places of interest on the island of Tenerife – Teide, Masca, and Santa Cruz to name a few! Please check the notice board or ask us for detailed information about each excursion. For further information and any changes or cancellations please check the notice board or ask at the reception! 265 queries in 2.598 seconds.